Your business mileage is tax-deductible. The Internal Revenue Service offers tax deductions on a variety of common work-related expenses, including the cost of operating a vehicle. The government lets business owners and employees take a vehicle deduction based on the total number of miles driven for business, with certain restrictions. You calculate the deduction by multiplying your business mileage by a standard mileage rate set by the IRS. The vehicle deduction applies to expenses incurred while driving a car for specific business purposes. Deductible business uses include visiting clients and customers, driving to secondary or temporary workplaces, and taking business trips. The cost of commuting to a primary workplace is not deductible. If a home office is your primary workplace, however, the cost of driving to offices away from your home is deductible. Self-employed workers and employees who operate vehicles in a trade or business can choose to deduct actual car expenses related to business use or take a deduction based on business mileage. Filers using the actual expense method must keep detailed records of car expenses to calculate the deduction. Taxpayers who choose to use the standard mileage rate method simply have to keep track of miles driven for business purposes. The standard mileage rate is 55.5 cents per mile for the 2012 tax season. Some business owners and employees cannot use standard mileage rate method for deducting vehicle use. According to the IRS, you can't use the standard mileage rate if you operate five or more vehicles in a business; if you claimed a depreciation deduction on a car using the Modified Accelerated Cost Recovery System in an earlier year; or if you claimed a Section 179 deduction on the car. In addition, you must use the standard mileage rate method in the first year a car is available for use in your business in order to use the mileage deduction method in future years. After using the mileage method in the first year, however, you can use either method in subsequent tax years. The standard mileage rate can change from one year to the next, or within a given tax year depending on estimated costs of operating a car. 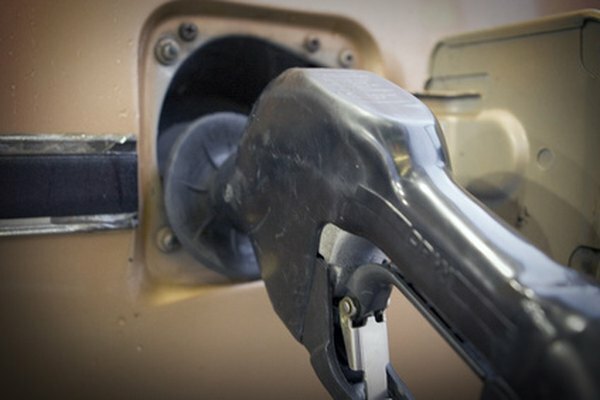 When fuel prices rise, the standard mileage rate tends to increase, and when fuel prices fall, the rate may fall. For example, the standard mileage rate was 58.5 cents per mile during the second half of 2008, but the rate fell to 50 cents per mile by 2010.